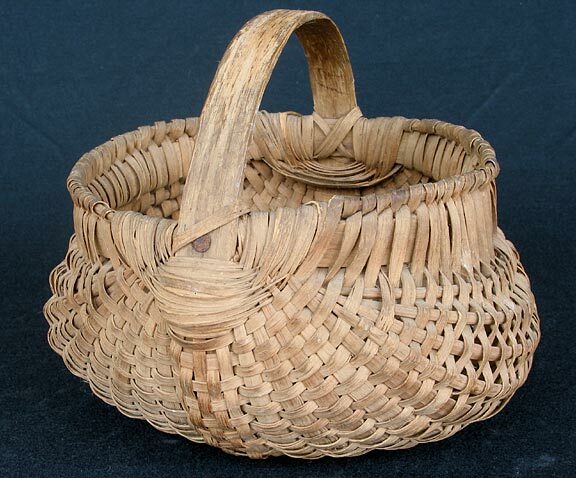 Jack Bertram (Mrs. Myers brother-in-law) brought basket to her when she was 8 or 9 years old. Basket was bought in the early 30's for 25 cents at a 31w basket stand. Material: White Oak.